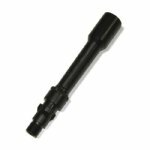 MP5K-Navy 3-lug 5.85" cold hammer forged barrel threaded 1/2x28mm. Made by RCM to exact German specifications. 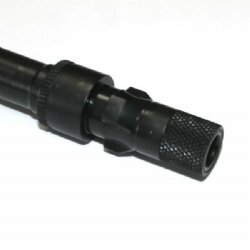 This is the barrel required to mount your 1/2x28mm suppressor or other 1/2x28mm muzzle devices. Includes muzzle protector as shown in image two. Fluted Chamber, Nitride Finish and Cold Hammer Forged for the ultimate in durability and dependability. Made by RCM, Rim Country MFG. This is the highest quality barrel available for your MP5K or clone build.